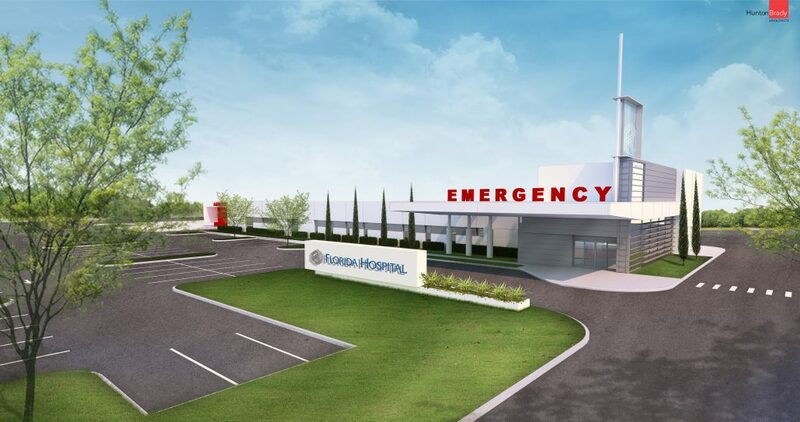 Florida Hospital is launching a major expansion of services on the east side of Orlando, with standalone emergency departments planned for Waterford Lakes and Oviedo. The Waterford Lakes emergency department will be located at Colonial Drive and Lake Pickett Road. Florida Hospital yesterday closed on the purchase of the 5-acre parcel where the emergency department will stand. Both emergency departments are expected to include 24 beds, including observation beds allowing patients to stay close to home should they need advanced care not requiring admission to a hospital. Services offered will include: Diagnostic imaging (CT, MRI, X-ray), a full-service laboratory and pharmacy services. The comprehensive clinical team at the new EDs will include board-certified emergency physicians and emergency nurses trained in both adult and pediatric emergency medicine. In Oviedo, the emergency department is slated to be built on Red Bug Lake Road near Oviedo Mall Boulevard, on a parcel already owned by Florida Hospital. The parcel also houses a Centra Care urgent-care office, which will remain on the site. Final design decisions will be made after input from city government and residents. Groundbreaking for the Waterford Lakes location is expected in June of this year, with the ED opening in the second quarter of 2019. Groundbreaking in Oviedo is set for this October, with the opening planned for the third quarter of 2019.